Dampness in buildings manifests itself in a variety of forms and is quite possibly the most common cause of building defects in the UK. Condition Surveys carried out over a period of time throughout the Country have highlighted and recognised the enormity of the problem. But there is still a misconception and misunderstanding of the causes of damp resulting in widespread misdiagnosis of dampness. Standard building surveys carried out prior to purchase are generally a one-off, quick analysis of the building’s condition at that particular time so building conditions are not monitored over a period of time. Misinterpretation of readings taken from electrical moisture meters is widespread. It is common to record that damp has been detected based on readings from such instruments when they are actually designed to detect an absence of moisture. Competition keeps contract prices at a low level reducing the beneficial time allowed to carry out the survey. Surveyors are known to pass the risk of the dampness investigation to other ’specialists’ rather than risk being sued for negligence. Often these ‘specialists are in the market to carry out substantial remedial works themselves therefore it is in their interests because of commercial pressure to recommend work that is often more than actually required. 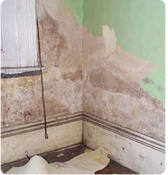 CWA has expertise borne through years of experience in diagnosing damp and moisture problems in dwellings. Such expertise can very often save large sums of money spent on remedial work by correct evaluation of the problem and proper specification of works to be carried out. There is a long tradition in using wood for construction and fitting out buildings. 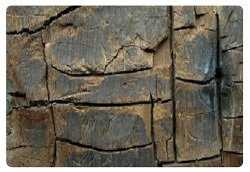 Perhaps more than any other material, timber is prone to decay and deterioration most commonly from Dry and Wet rot with subsequent fungal damage. Apart from being unsightly and in some cases unhealthy, rot to structural elements of a building can become dangerous causing partial or in extreme cases – full collapse. Correct diagnosis can prevent further deterioration and proper specification by an experienced Chartered Surveyor can limit costs of remedial work. CWA specialise in such work and are able to offer such a service to diagnose, specify and oversee remedial works.